On Friday Oct 26 from 5:00 p.m. - 10:00 p.m., the Benjamin Franklin Parkway is throwing itself a wild block party to celebrate 100 years of culture and learning along Philadelphia’s patch of Elysium. The Parkway Central Library’s contributions to this cultural rager come in the forms of not only stage and social dance, but also in the effervescence and conviviality of beer. 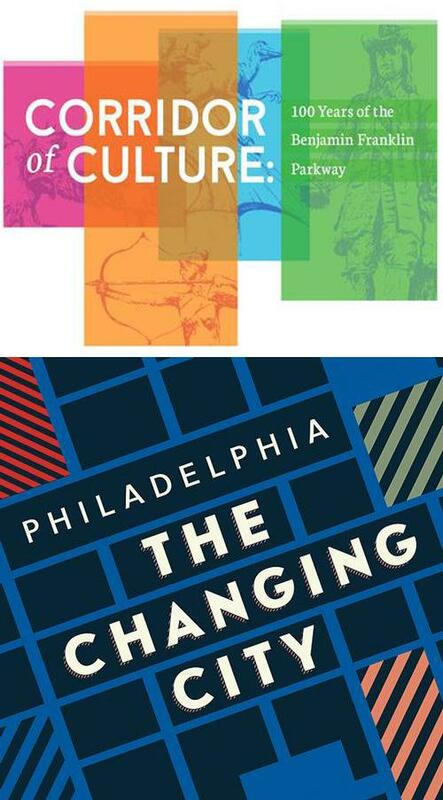 It’s also among your last chances to spend some time with the excellent exhibition Corridor of Culture: 100 Years of the Benjamin Franklin Parkway, as well as an early chance to explore until deep into the Friday evening the Rare Book Department’s brand new Philadelphia: The Changing City. And for our littlest learners, there will be a chance to chill out with a pajama storytime before the quotidian bedtime struggle begins. The Beer Garden serves up drinks to the 21+ crowd on our Skyline Terrace. 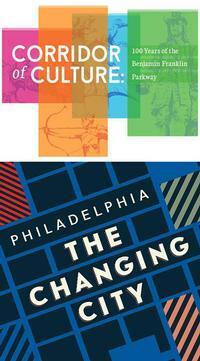 Philadelphia: The Changing City will be viewable in Rare Book Department’s Dietrich Gallery. Also please take the opportunity to see again the permanent and rotating objects on display throughout the department. 5:00 p.m. – 6:20 p.m.
Philadelphia Argentine Tango School (PATS) will surprise patrons with pop-up demos of advanced site-specific tango technique. Ballet X will perform in the Grand Lobby on a specially installed 625 square foot dance floor. Parkway Central Children’s Department will host a pajama storytime. PATS’s master instructors Matias & Meredith will perform in the Grand Lobby. 7:50 p.m. – 8:15 p.m.
PATS will teach a beginner tango class in the Grand Lobby to all who are curious to try. Matias Facio will DJ a "milonga" in the Grand Lobby. A milonga is an underground tango dance party for all skill levels—perfect for even those who have just had their first lesson. 9:30 p.m. - 9:59 p.m.
"You don’t have to go home, but you can’t stay here." The Parkway Central Library has about 91 years on this 100 year old boulevard. To read up on the history, the building, and its departments and collections, check out our welcome guide. You can also always escape the festivities by browsing the various subject departments for a good book. We hope you can make it, and that you feel some inspiration and warmth in these fall festivities. Celebrate 100 years of culture and learning along the Parkway! 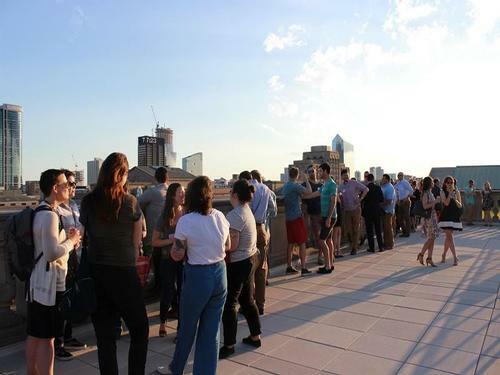 The Free Library’s popular rooftop beer garden series, Brews & Views, is headed back to the Parkway Central Library for a four-day run from October 23 - 26. Catch these exciting exhibitions from our Special Collections! Add a Comment to Don't Miss the Parkway Soiree!